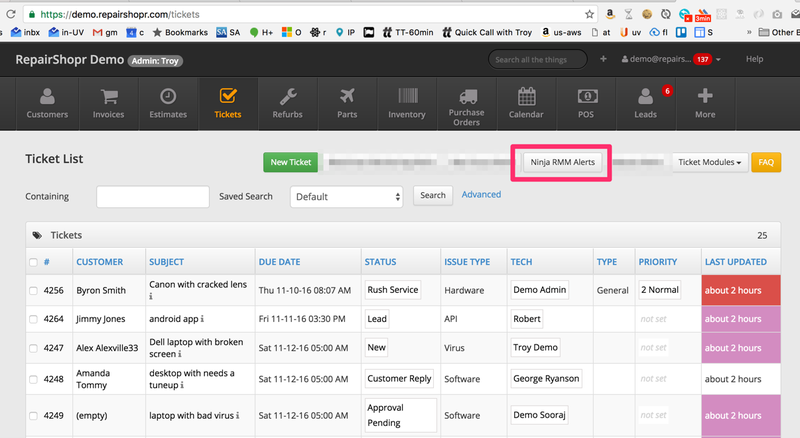 Our integration maps your Ninja devices and alerts into Customers, Tickets, and RMM Alerts, allowing you to reduce double data entry in the systems you already use. 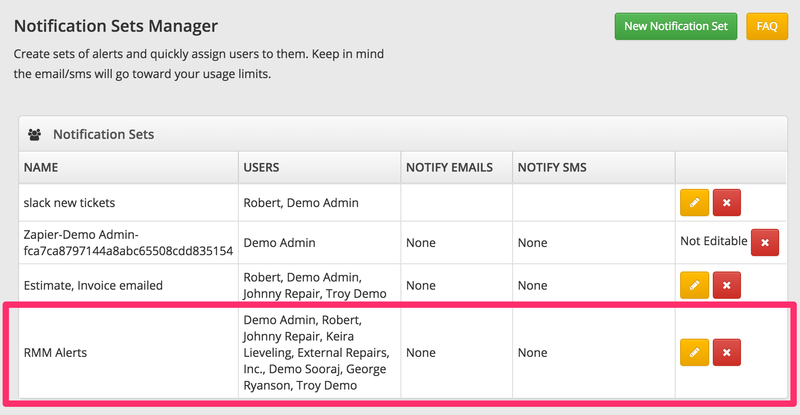 Go to your Ninja account and find us in the Configuration -> PSA page. 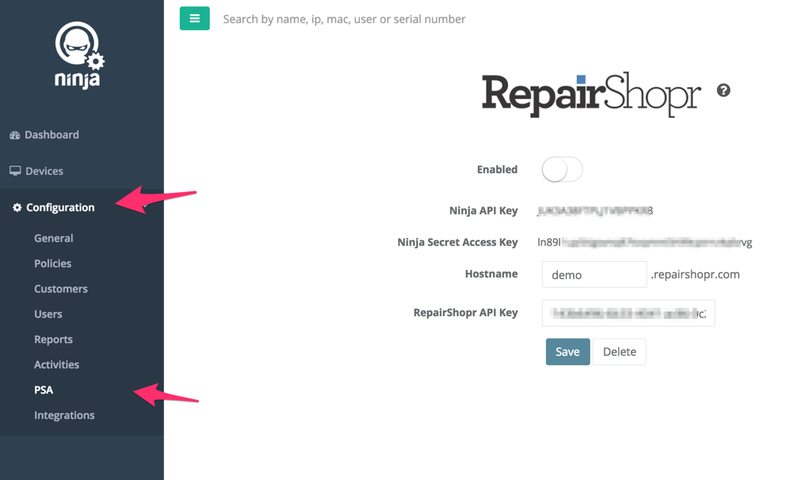 Click "RepairShopr" - then click "Generate API Key". 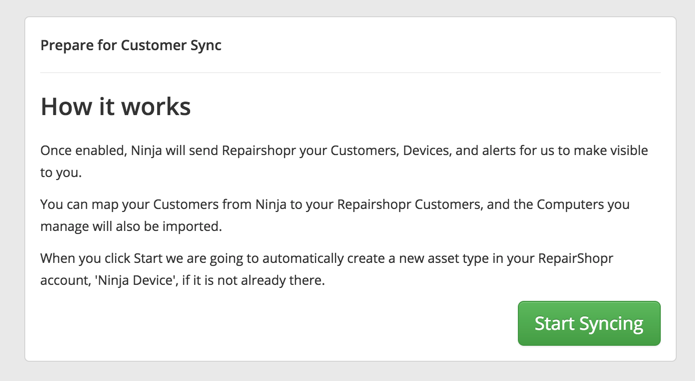 Put your RS subdomain in, and get another tab open with your RepairShopr account navigated to Apps -> Ninja MSP. 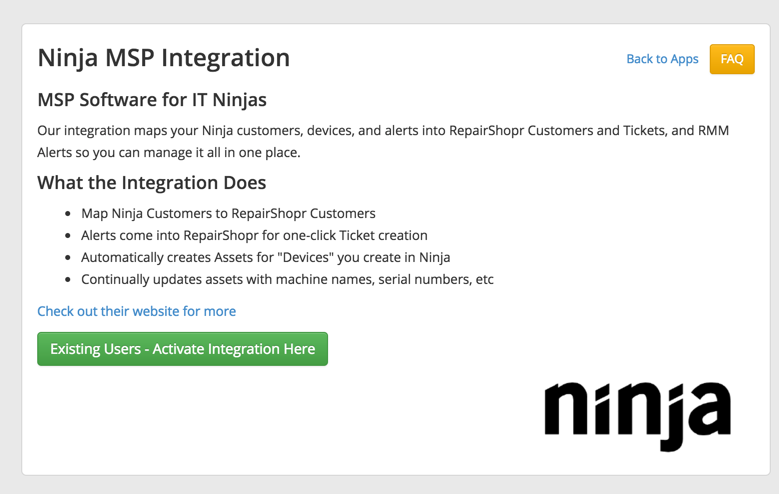 On the RepairShopr side you'll need to click "Existing Users - Activate Integration Here"
Then you'll get to a screen that shows your RepairShopr API key, and allows you to enter the Key and Secret from the Ninja side. 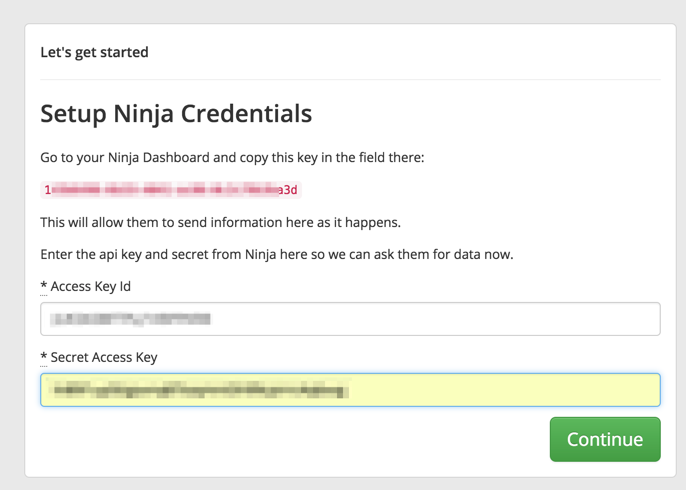 You do have to enter 2 fields from the Ninja side into RepairShopr, and one field from RepairShopr into Ninja. 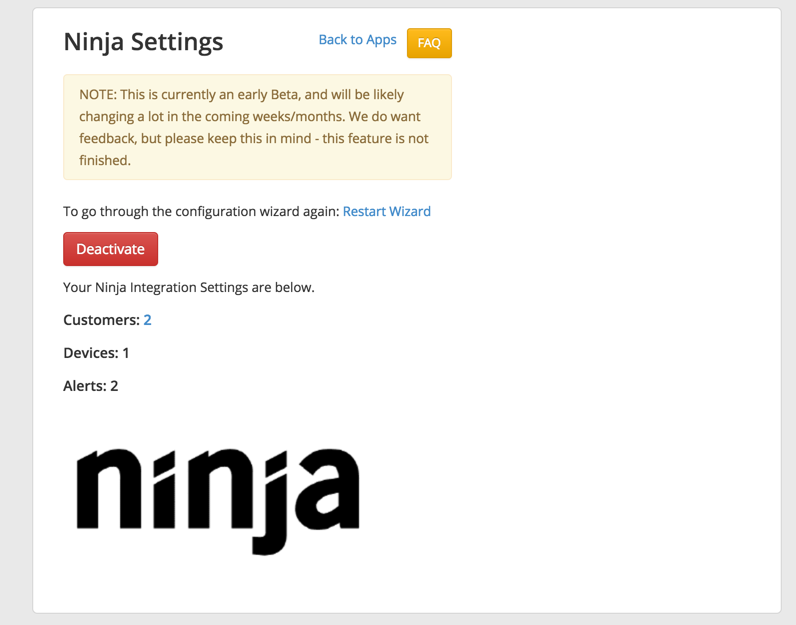 Now you can click "Save" and "Enable" on the Ninja side and you're done there. On the RepairShopr side click Continue once you've got both values entered. 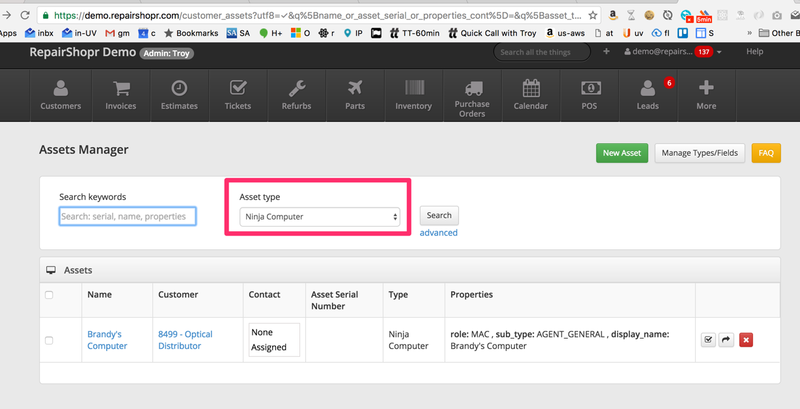 Next to alerts you'll be able to map them to a customer if they are connected to a Ninja Customer that isn't mapped, you can view the details of the alert, and also convert the alert to a "Ticket"
And, last but not least, on the Customers -> Assets page you'll see all the devices from Ninja populated with serial numbers and much of the important data from Ninja. We even have a one-click Take Control link that pops you directly into TeamViewer!